July 2012 marked some of the most significant events in the history of the Karma Kagyu lineage in the United Kingdom: the Wish Fulfilling Jewel appeared once again in the UK, and a victorious banner was raised above the Beaufoy Institute in Lambeth. In the midst of the celebrations of the enormous success, after a long process of planning consultation, in planning permission being granted for Diamond Way Buddhism’s new London Centre at the Beaufoy Institute, H.H. 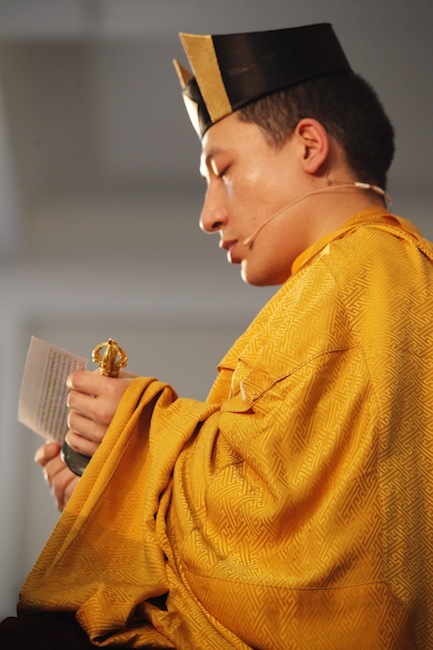 17th Karmapa Trinley Thaye Dorje arrived in the UK for a momentous 10 day visit.